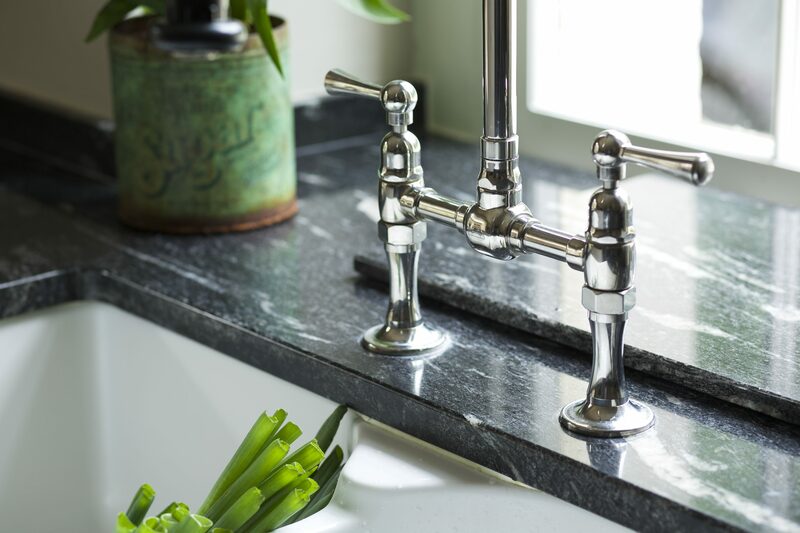 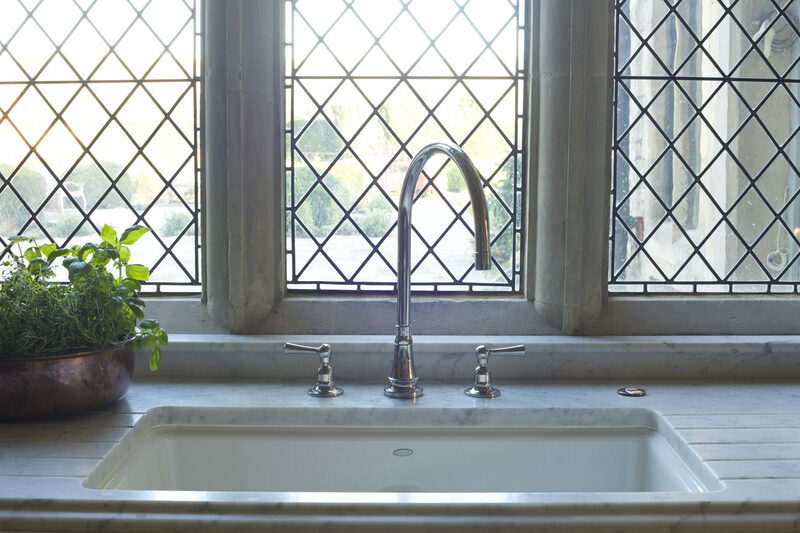 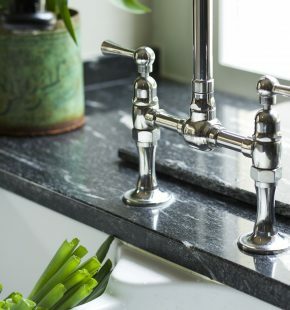 Sinks and taps in particular have come a long way since the mixer tap’s development in the 1940’s, providing for the first time the luxury of balanced hot and cold water as required. 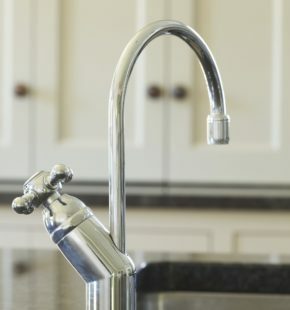 Quality shows though and this is as true for the kitchen sink and tap as anything. 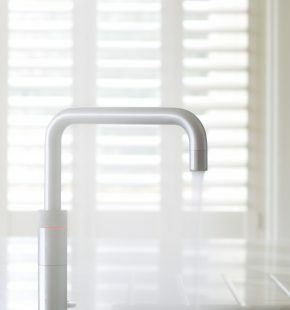 There is nothing worse than the daily annoyance of a wobbly, leaking tap. 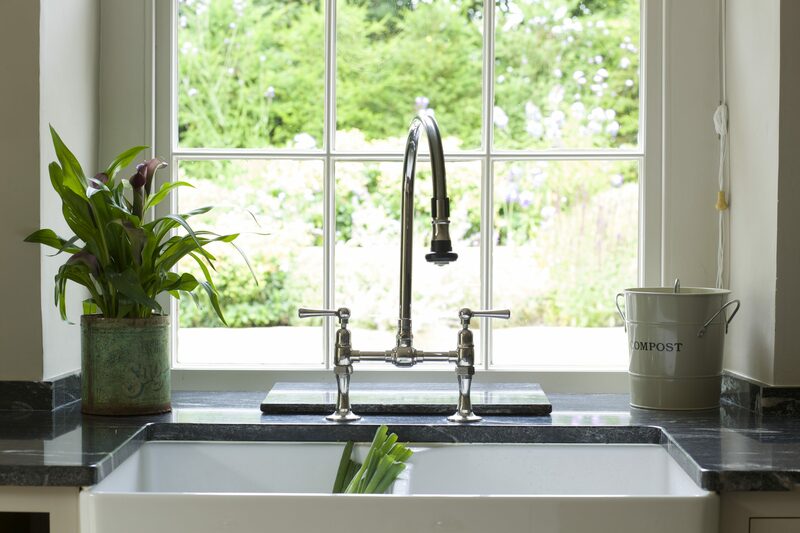 We handle and touch them constantly and the humble tap works especially hard for washing and cooking all day long. 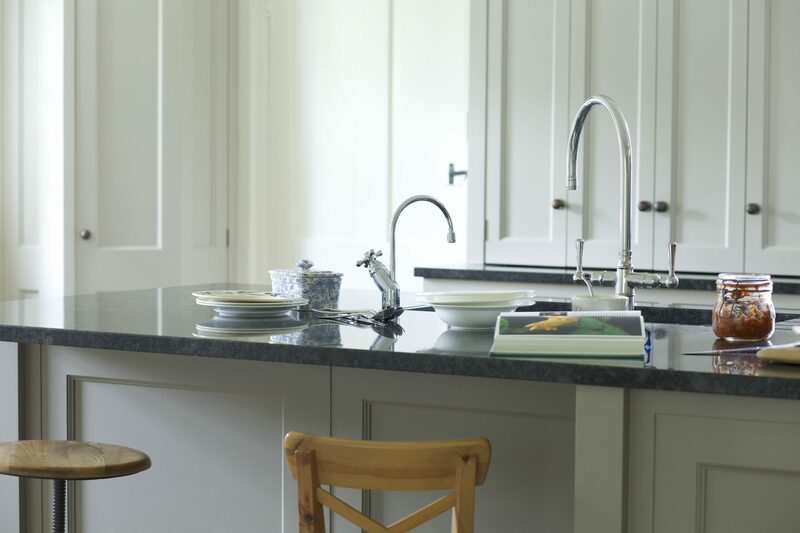 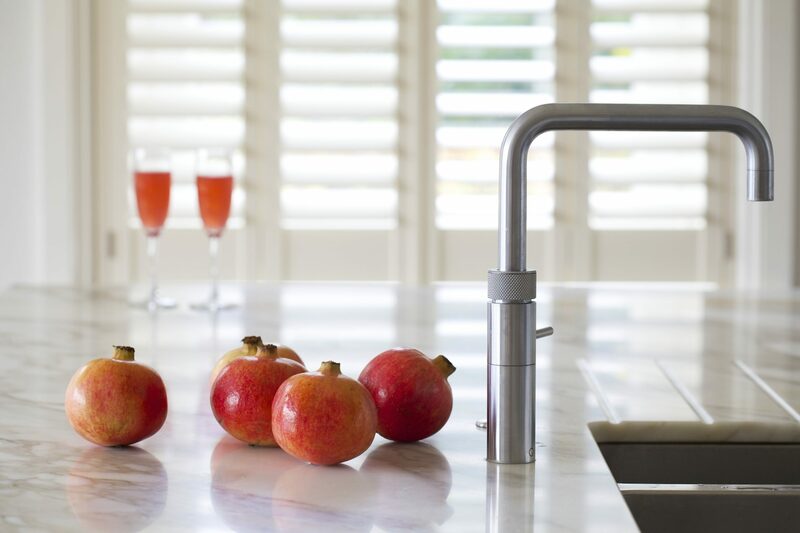 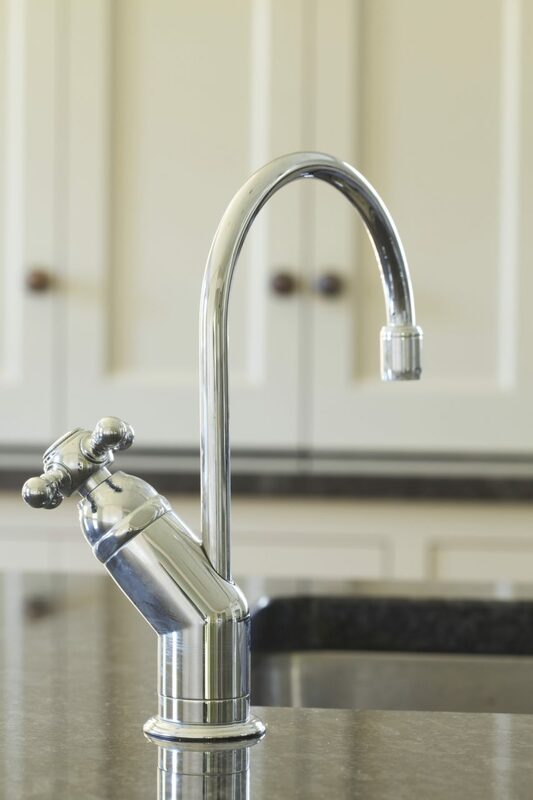 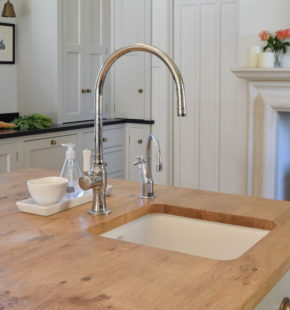 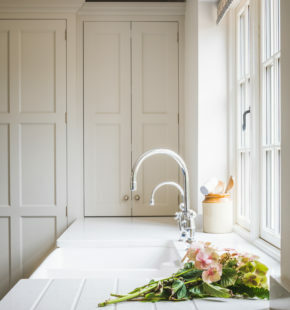 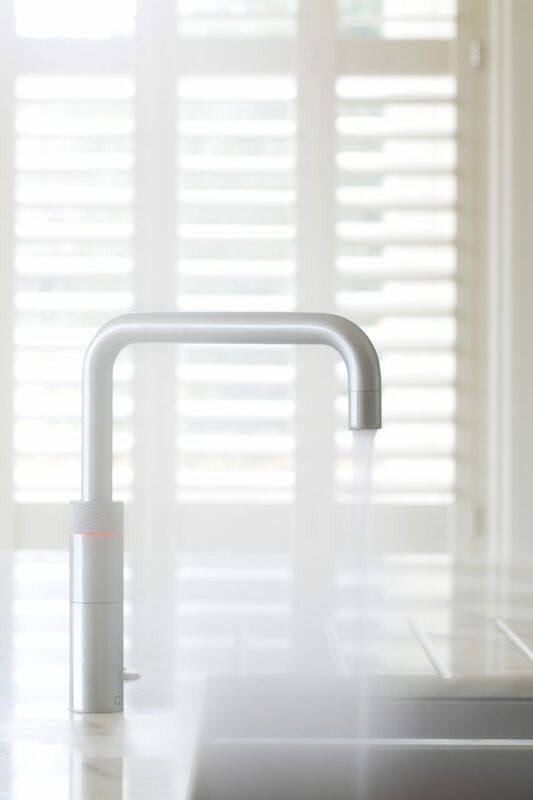 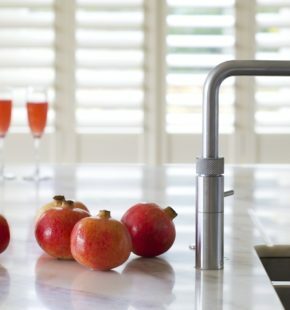 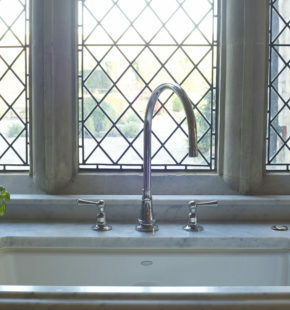 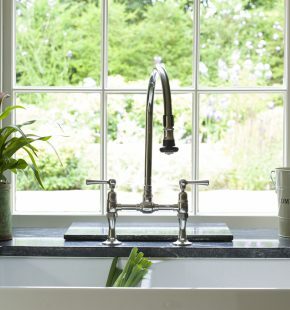 Choosing a style colour and finish is not always straight-forward: traditional or modern, farmhouse or industrial, single lever or bridge mixer, in brass, chrome or stainless steel, polished, satin or brushed finished – the choice of kitchen tap is wide and set to grow more complex with the introduction of technology such as the boiling hot-water tap. 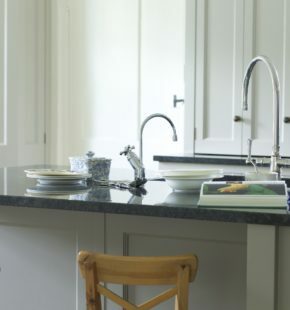 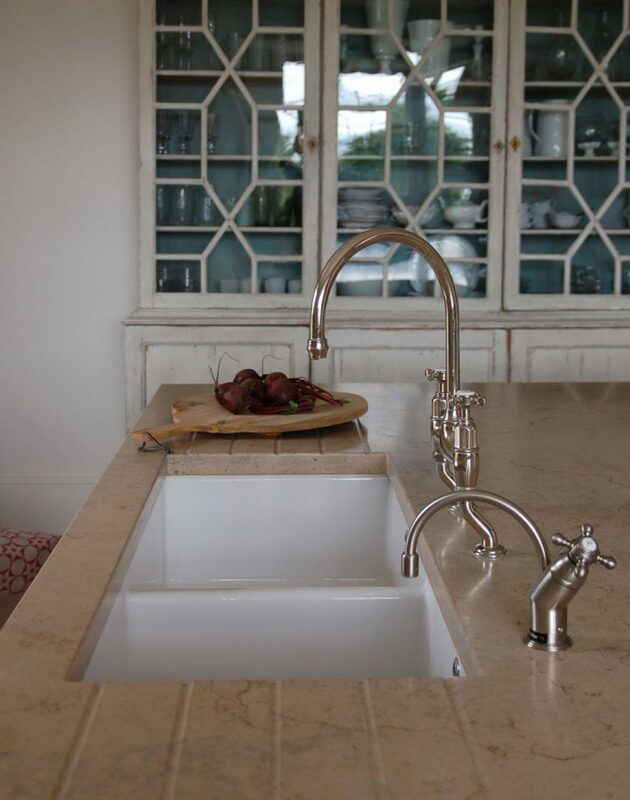 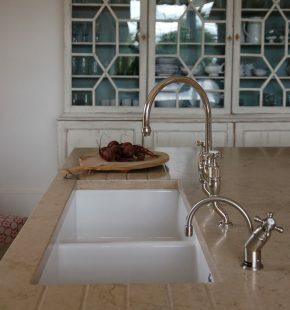 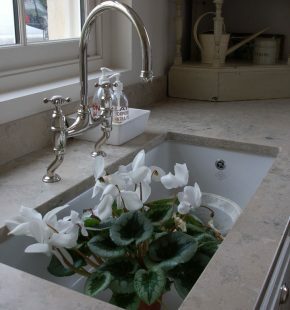 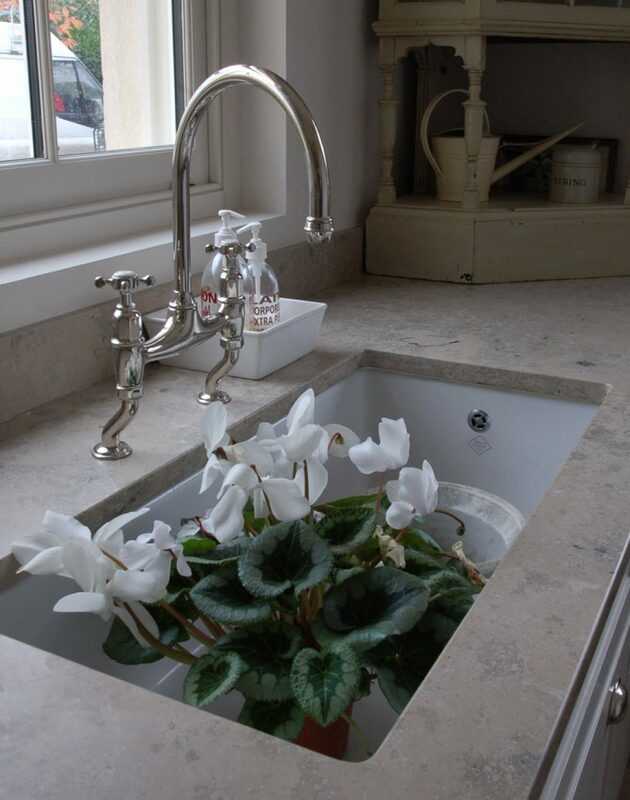 Good cabinetry will last many years and the kitchen tap should be an integral part of your design plan. 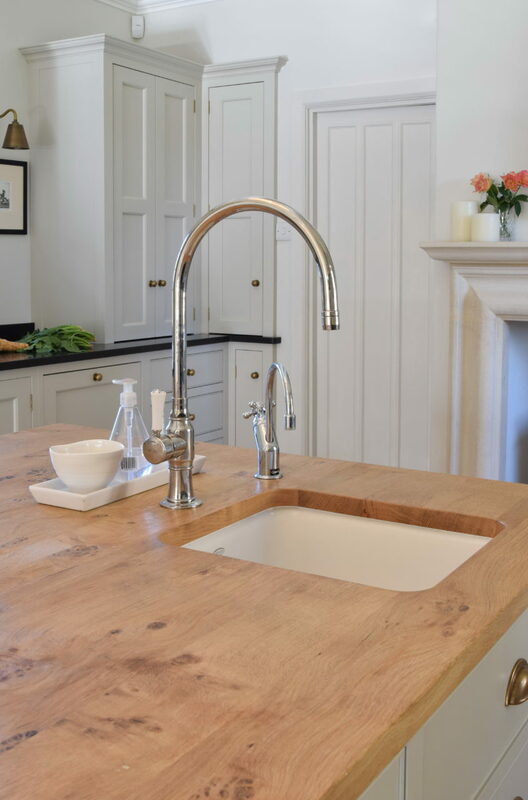 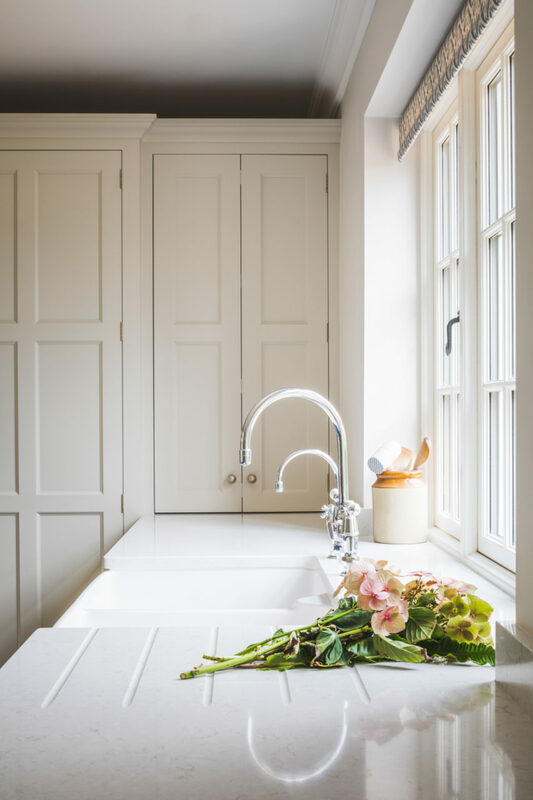 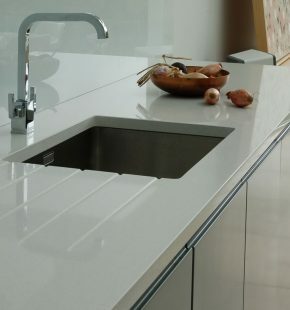 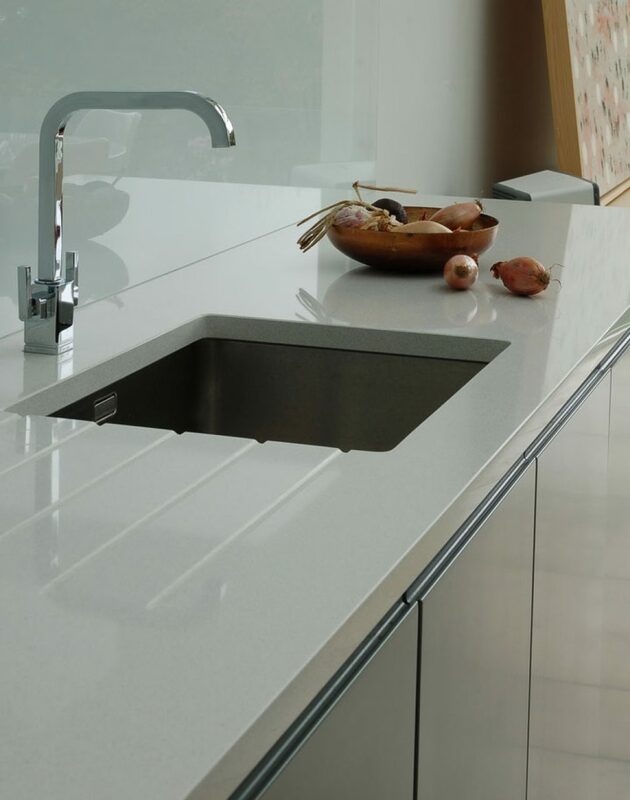 Guild Anderson offer a full design service and this includes not only designing bespoke cabinetry but helping clients to select their preferred appliances, worksurfaces, paint colours, handles and of course, sinks and taps.